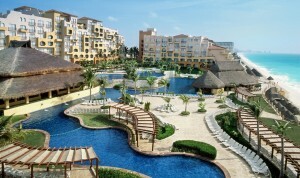 What sets the Fiesta Americana Condesa Cancun apart from other all-inclusive resorts on the Mayan Riviera? The memories of your vacation stay with you long after you leave. 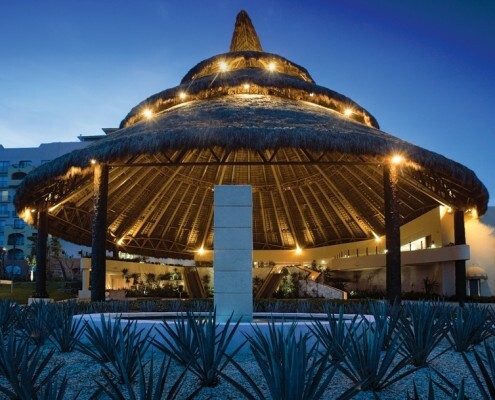 The time and experiences you have with your family or friends at this luxurious Mexican hotel will bring you back for more. 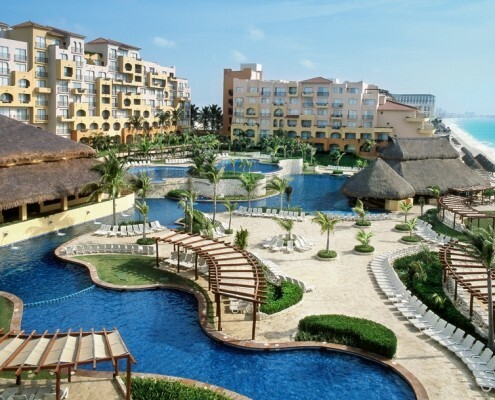 A AAA Four Diamond award winner for 20 years straight, the Fiesta Americana Condesa Cancun combines the feel of Mexico’s culture with the elegance and excitement of a full-service resort. 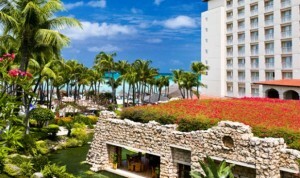 Featuring one of the country’s largest thatched-roof palapas, the grounds of the Fiesta Americana provide the serenity of a private beach, lush gardens with waterfalls, picturesque pools and Jacuzzis. Youngsters will enjoy pool and beach activities, art and sports in the Fiesta Kids Club, while teenagers can hang together as they play video games, sports and watch movies — all with staff nearby. 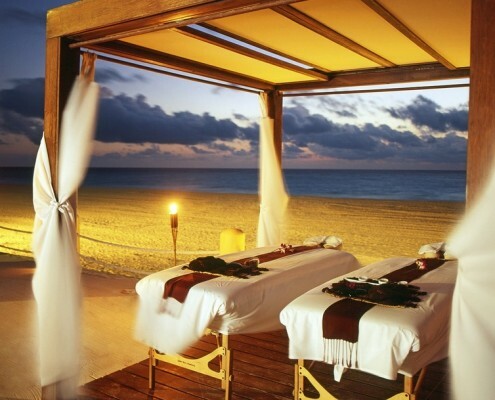 Don’t forget to pamper yourself with natural treatments at the Miiluma Spa. 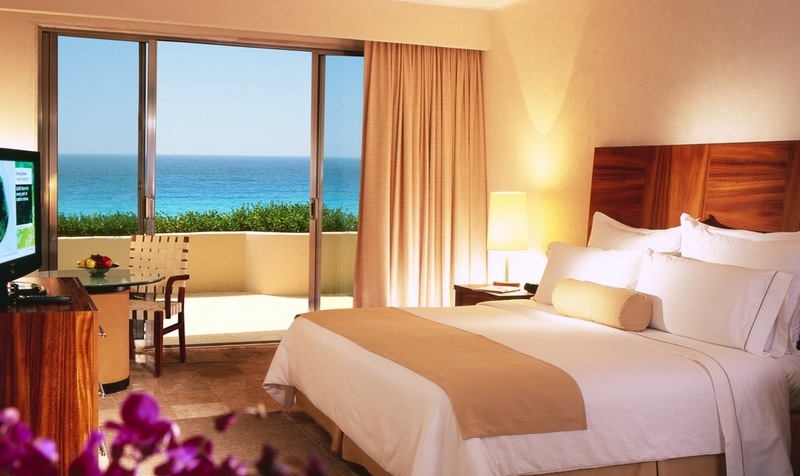 Whether you choose an elegant room or a suite, a garden or lagoon view or an oceanfront accommodation, your stay at the Fiesta Americana Conesda Cancun will feel like home to you and your family. Suites offer private balconies, some with personal Jacuzzis. 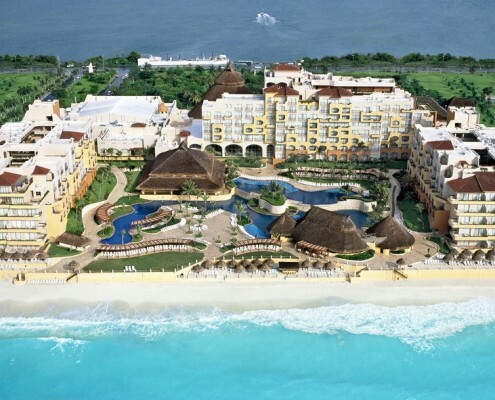 All rooms feature a complimentary mini-bar, satellite television, Internet access and contemporary Mexican décor. Culinary memories will be made, too, as daily offerings like ice cream or tropical fruit are served street-vendor style throughout the hotel. 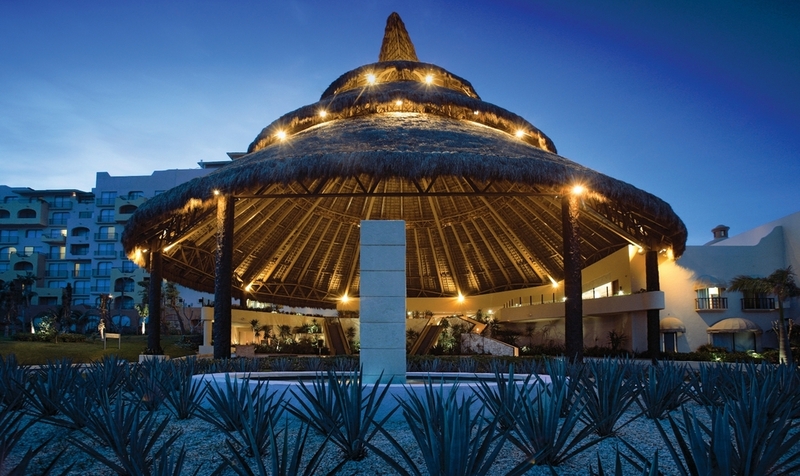 Take the family to Restaurante Kambu with a diverse international menu available for breakfast, lunch and dinner under the palapa by the pool. 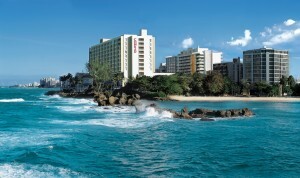 Kalmia’s large windows allow a panoramic view of the Caribbean while you dine on local and foreign fare. 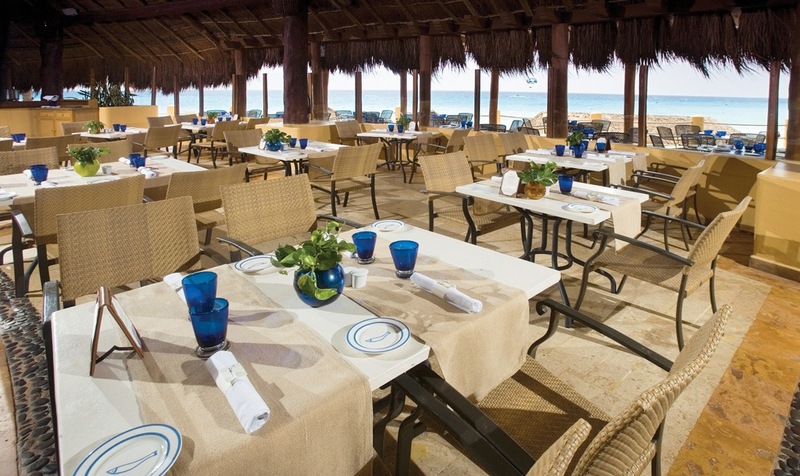 El Rosato Italian restaurant transports you to the Mediterranean while Mexicano offers authentic food of the region. Around-the-clock food service is also available in your room as you enjoy the ocean or lagoon view from your private terrace. Enjoy a drink and snacks at the outdoor Cevicheria, as the sounds of salsa and merengue wash over you. The Tapas Bar immerses you in a modern Spanish atmosphere while showcasing international music. 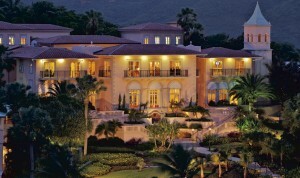 Take in an outdoor movie or a live performance at the resort theater. The activities at the Fiesta Americana Condesa Cancun are as varied as the guests. Athletic-minded folks will enjoy basketball, water polo or volleyball. 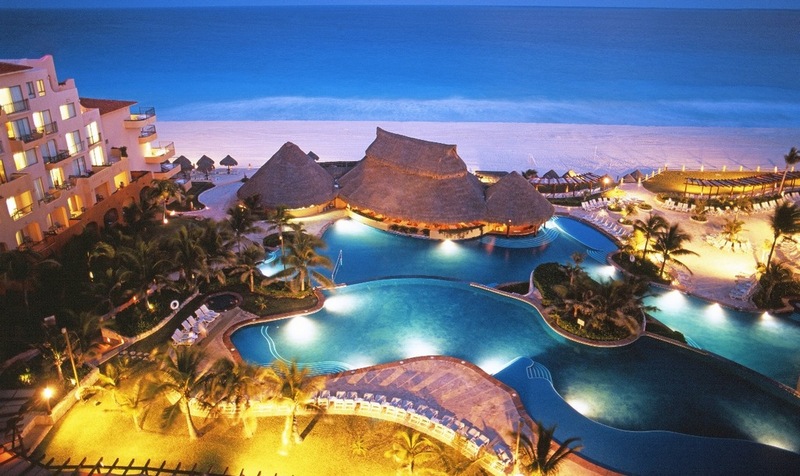 Crafty guests can build sand castles, paint t-shirts or even learn to make a kite. 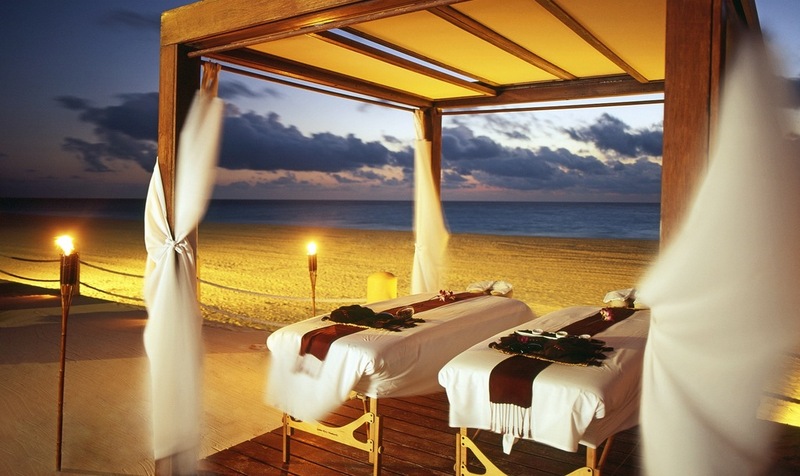 For those always looking to learn, classes are offered in cooking, yoga, boat-building and even the Mayan language. 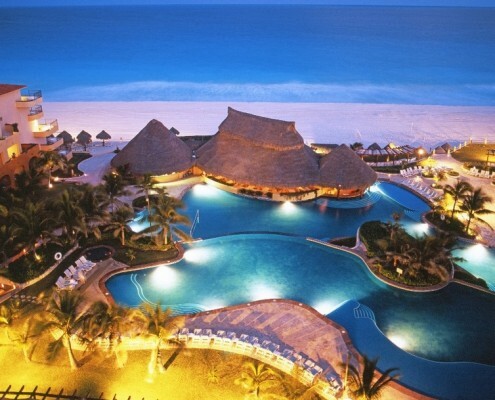 Adults can enjoy tequila tastings, Mayan astrology or dancing the night away. This spacious room features a single king-sized bed or two double beds with inviting décor, plush sheets, relaxed furnishings, an in-room safe, a coffeemaker, mini-bar, an LCD television with premium satellite channels, Internet access, and restful garden views. 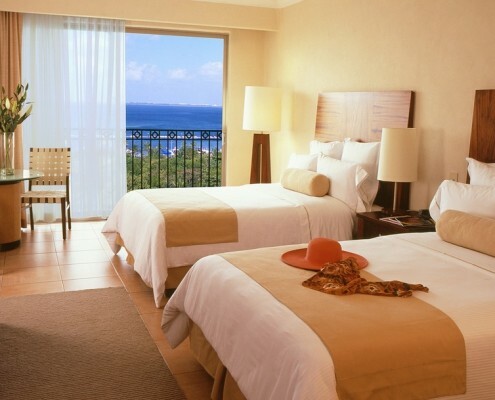 This deluxe room features a single king-sized bed or two double beds, plush sheets, relaxed furnishings, an in-room safe, a coffeemaker, mini-bar, an LCD television with premium satellite channels, Internet access, and scenic views of the Nichupte Lagoon. This deluxe room features a single king-sized bed or two double beds, plush sheets, relaxed furnishings, an in-room safe, a coffeemaker, mini-bar, an LCD television with premium satellite channels, Internet access, and partial sea views. 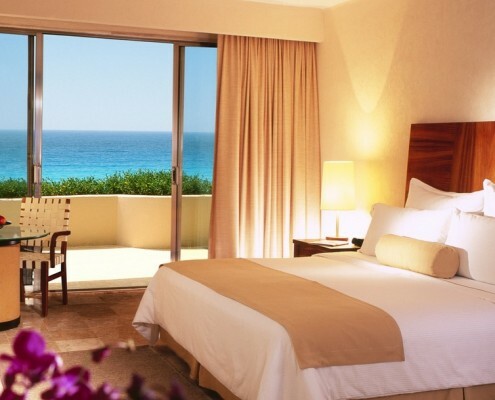 Relax in the comfort of this superior room that offers a single king-sized bed or two double beds, plush sheets, relaxed furnishings, an in-room safe, a coffeemaker, mini-bar, an LCD television with premium satellite channels, Internet access, and majestic ocean views. This spacious, Mexican-style suite features a king-size bed, deluxe bed linens, a separate lounge with sofa and armchairs, a dining area with a table and four chairs, two full bathrooms. a large private terrace, an in-room safe, bathrobes, a coffeemaker, mini-bar, an LCD television with premium satellite channels, Internet access, and spectacular ocean views. Relax in this oversized, Mexican-style suite that features a king-size bed, deluxe bed linens, a separate lounge with sofa-bed and armchairs, a dining area with a table and four chairs, two full bathrooms, an in-room safe, bathrobes, a coffeemaker, mini-bar, an LCD television with premium satellite channels, Internet access, and a large private terrace with patio furniture, a hydro-bathtubs and spectacular ocean views. 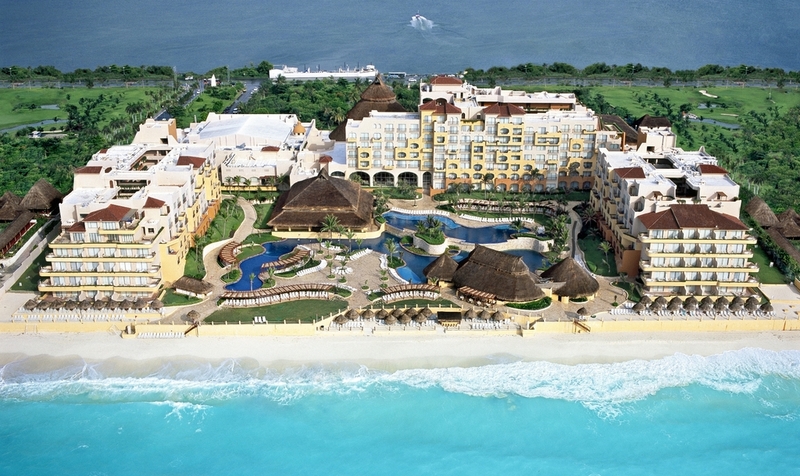 Enjoy the true meaning of luxury in this stunning, Mexican-style suite featuring a king-size bed, deluxe bed linens, a separate lounge with sofa-bed and armchairs, a dining area with a table and four chairs, two full bathrooms, an in-room safe, bathrobes, a coffeemaker, mini-bar, an LCD television with premium satellite channels, Internet access, and a large private terrace with patio furniture, a Jacuzzi and spectacular ocean views. Make yourself at home in this oversized suite featuring family style amenities like three bedrooms, four bathrooms, a separate lounge with sofa-bed and armchairs, a full kitchen, a dining area with a table and eight chairs, an in-room safe, bathrobes, a coffeemaker, mini-bar, a plasma television with premium satellite channels, Internet access, and a large private terrace with patio furniture, a Jacuzzi and spectacular ocean views. Restaurante Kambu – The whole family will enjoy dining at this restaurant offering a diverse menu of international favorites for breakfast, lunch and dinner. 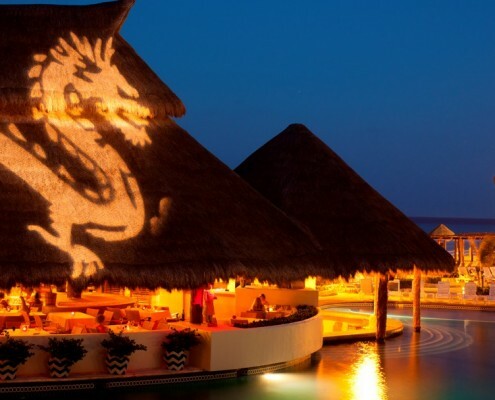 Situated next to the pool, in a typical Mayan open-air palapa overlooking the Caribbean shore, the Kambú offers everything from American-style breakfasts to buffet dinners boasting a fusion of flavors, including Tex Mex, traditional Italian, modern Asian, northern Mexican grill, and American favorites. The casual atmosphere and diversity of choices makes Restaurante Kambú a great choice for the whole family. KALKalmia Restaurant – Enjoy the view and the food at the Kalmia Restaurant, where you’ll find regional and international cuisine and large windows offering panoramic views of the Caribbean. 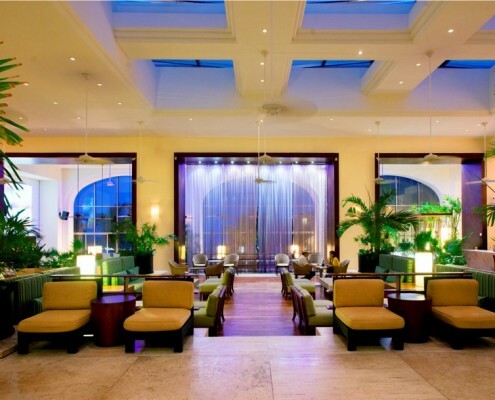 Kalmia features a casual ambience and is open daily from 6:30 am to 10:30 pm. Mexicano Restaurant – With contemporary design and a menu of traditional Mexican cuisine, the Mexicano is an elegant choice featuring spectacular décor, glass cases filled with popular regional art, amber-colored stained-glass windows, blown glass, and traditional talavera pottery. 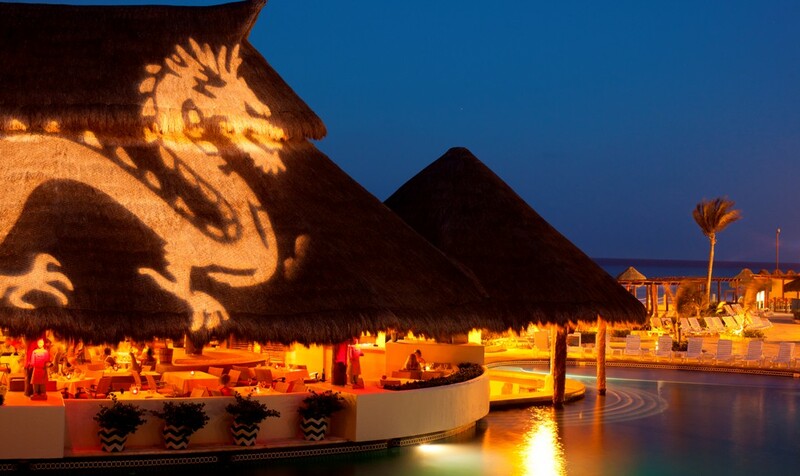 Guests will enjoy a diverse menu of succulent Mexican dishes, an impressive wine list and an extensive variety of tequilas. Open daily for breakfast from 7 am to 10:30am and for dinner from 6:30 pm to 9:30 pm. Rosato Restaurant – There’s nothing like a good meal to bring a family together and there’s no better place to do it than at the hotel’s El Rosato Italian restaurant. Traditional oversized tables are perfect for sharing pizzas, pastas, salads and more than 70 gourmet dishes with your family and friends, while you’re surrounded with the cheerful ambiance of Italy and the Mediterranean. 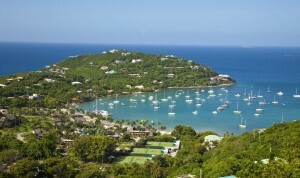 It’s like stepping into Europe for a mini vacation, except the Caribbean is just steps away! Restaurant will only accept children under 12 years old before 7:00 pm. After 7:00 pm restaurant will be available only for children 13 years old onward. Restaurant does not have high chairs for children. Dress Code: Casual Elegant, dress shorts and dress sandals. No sleeveless shirts for men, no flip-flops, no sportswear. 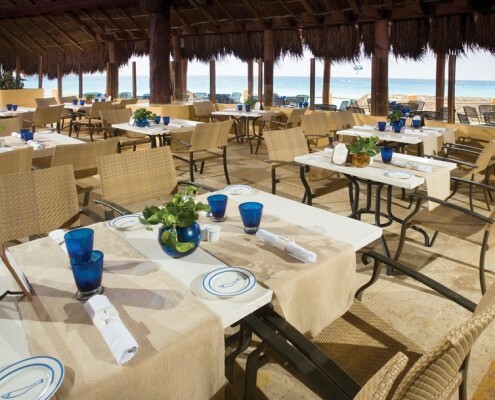 Cevichería – Situated in an open-air palapa set among the swimming pools and the Caribbean, guests can enjoy delicious snacks, hot salsas and the popular bucket of beers surrounded by the rhythms of salsa and merengue music. Open daily from midday until late. Tapas Bar – Enjoy casual, yet modern, Spanish ambience and international music at the Tapas Bar where you can savor a menu of hot and cold tapas and listen to a range of musical genres. The Tapas Bar is open daily from 5:30 pm to 2 am. 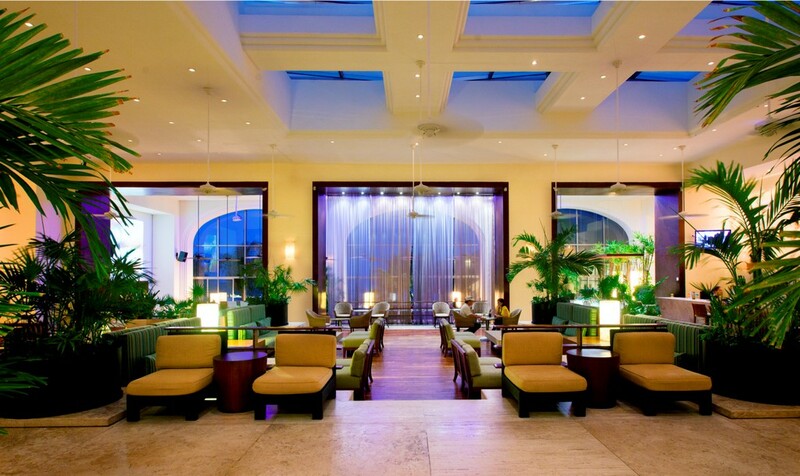 Lobby bar – Music, international drinks and cigars. 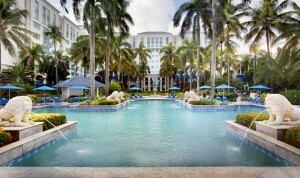 Bar Splash – Located by the pool. 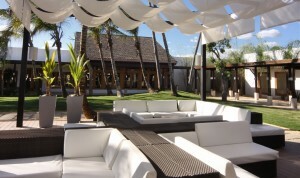 Bar De Playa – Located on the beach. The Lounge – This new bar offers a wide variety of national and international drinks in a warm and comfortable environment, while New Age rhythms are played. Open from 5:00pm to 1:00am. Music genre is New Age.